Our team has been planning for and anticipating this Sunday for a couple of months. It was a big day because we shifted our service flow and replaced our live announcements with video announcements. I'll write more on thinking intentionally about your service flow and live announcements vs. video announcements in a future post. Every 4-6 weeks I intentionally lead a stripped-down worship set. I use the term "stripped-down" because this doesn't always mean a smaller band or an acoustic driven instrumentation. This week the team was comprised Acoustic Guitar, Keys, Violin, Cello and two vocalists. This is a great song that communicates a great truth. We have new life in Christ! (Colossians 2:13, Galatians 2:20). This song has a really wide vocal range but I've found it effective to have a female lead it in the keys of "G" with a male singing the Bridge without the octave jump. Even though this isn't a new song it's new to our church family. This was our fourth time leading it and our church is really connecting with it. This one also has a wide vocal range with an octave jump in Verse 2 but I've found the Key of "A" works well. I lead it Sunday night in the key of "E". I'll do the verses all in the higher octave (no octave jump) which puts them higher than the chorus. It's a fair trade if you have a lower voice, a smaller vocal range or are leading with a smaller band or in a smaller setting. This is an original song written and arranged by our team at Calvary Monterey. We wanted the verses to reflect the honesty of the Psalms. Sometimes our hearts are overcome with fear and our mind is overwhelmed with doubt. It's okay to admit that to the Lord. But we cling to His truth and sovereignty by singing in the Chorus "You are in control, You are Lord of all"
Elevation Worship's "Acoustic Sessions" may be my favorite worship release in the last year. The arrangements are beautiful, powerful, and tasteful. And those harmonies! Anything from this album will work great for a stripped-down Sunday or if you're regularly working with a smaller band. 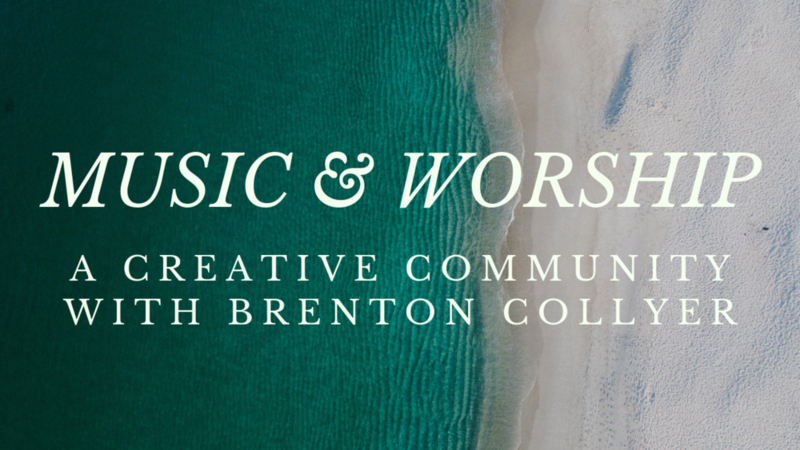 I've written before of the importance of ending a worship set in a posture of vertical worship. The song How Great Thou Art is a wonderful way to do that. I chose to lead this song in it's pure and traditional form. I love modern hymn arrangements but the timelessness of singing a song written over 100 years ago the way it was sung over 100 years ago is powerful. Tune into the live stream below to hear our arrangement of this song. Our Lead Pastor Nate Holdridge taught continued our series, God-Hearted, on the Life of David with a teaching from 2 Samuel 15. "If Christ Inspires You, You'll Follow Him Anywhere"
Watch the full service below!